Unless you have been living under a rock, you probably have heard of the Mayan Calendar and the media hype about it coming to an end in 2012. Interest in the Mayan calendar and its so-called prophecies has increased at a phenomenal pace due to over-the-top catastrophe movies like 2012 and television series like The History Channel's Decoding the Past: Doomsday 2012. Our collective fear of an apocalypse has projected an ending to a calendar that according to most Mayan scholars actually tracks cycles of time and the evolution of consciousness. There is a lot of misinformation and wild interpretations concerning the meaning of the Mayan calendar. Although I am by no means a Mayan Calendar scholar, I have been fascinated by the Maya since childhood. In 1976 my dear Aunt Phyllis (Tata) offered to take me any where in the world that I wished to go to celebrate my 13th birthday. I knew immediately where I wanted to go: to Mexico to see the Mayan ruins. I chose a Smithsonian tour of the Aztec city of Teotihuacan and Mayan cities of Palenque, Uxmal, and Chichen Itza in the Yucatan peninsula. 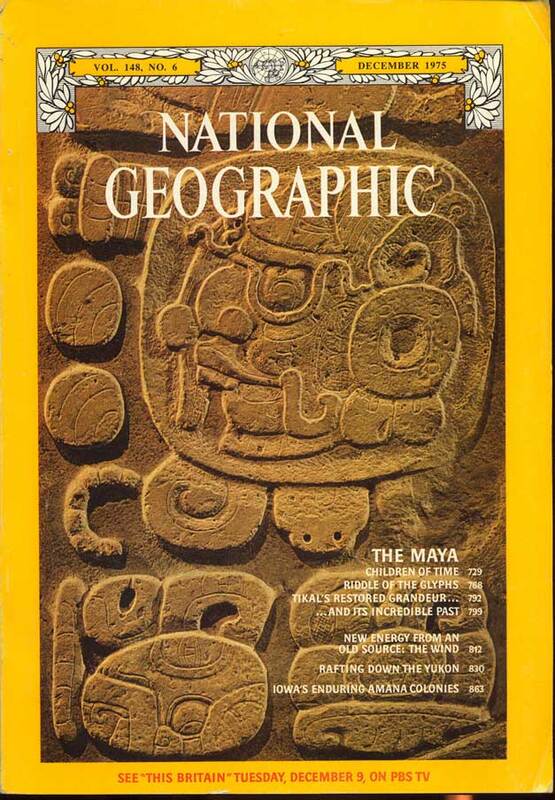 No doubt I was influenced by articles on the exciting archaeological discoveries described in National Geographic and Smithsonian magazines which stirred curiosity in my young receptive mind. 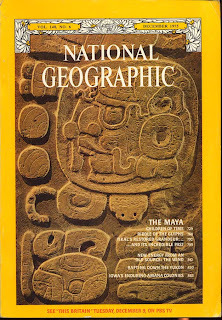 In particular, I was fascinated with the sudden and mysterious "disappearance" of the Maya, as well as with their undecipherable glyphs described in the literature of the day, such as Michael Coe's classic The Maya (1966) and T. Patrick Culbert's Lost Civilization: Story of the Classic Maya (1974). And the Dresden Codex had just been published in a color catalog which I spent hours studying and wondering what the mysterious glyphs and images conveyed. I felt energetically connected to this magical world, and during my tour of the Yucatan I had a mystical experience in which I felt I could fly should I have tried to jump off the edge of a Mayan temple -- many years before I would learn about the psychedelic experiences of Terrence McKenna. 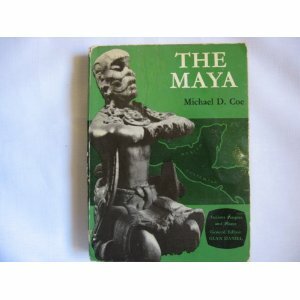 Thus began my lifelong fascination with the Maya. The Dresden Codex is a pre-Columbian book of the eleventh or twelfth century Maya of Chichen Itza. It was written by eight different scribes using both sides of the paper made from Amatl, fig-bark that has been flattened and covered with a lime paste. Each scribe had a unique writing style, glyphs, and subject matter. The codex totals 74 pages in length. Its images were painted with extraordinary clarity and contain astronomical tables of outstanding accuracy. It is most famous for its Venus tables and lunar series that has intervals correlating with eclipses. In addition the codex also seems to show conjunctions of constellations, planets, and the Moon. As a Vedic astrologer I am still amazed at the mathematical accuracy of Mayan astronomical tables for Venus and eclipse patterns. But this astronomical data was not used by the Maya in the same way as we might use it today. The solar cycle was not a reflection of their consciousness as it is in our culture. Instead the Maya used the Tzolkin, a 260 day Sacred Calendar that measured the most basic rhythm of the cosmos that had been given to them by the gods. 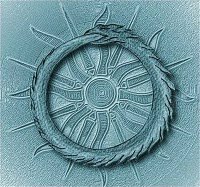 Unlike other solar or luni-solar calendars, the Tzolkin tracks waves or cycles of growth that are not necessarily linked to the fixed stars of the zodiac. Perhaps this is why some astrologers believe that astrological charts of the Mayan end date do not seem to reveal any big planetary line-ups or astronomical event that might signal the so-called end of an age or shift in the evolution of consciousness. (And what would the "end of time" look like in an astrological chart anyway?) As we shall see there are no mind-blowing alignments like the planetary line up on the 2010 Winter Solstice, but rather symbolic inklings of a potential cosmic shift, and perhaps a gift of immortality released from celestial waters by the gods. Part of the confusion around the Mayan Calendar is that there are three different dating systems that were used simultaneously by the Maya: the Long Count, the Tzolkin, and the Haab. The Long Count (360 days) measured long periods of time, the Tzolkin (260 days) measured sacred time, and the Haab (365 days) measured civil time. All three calendars were based on the vigesimal (20)mathematical system and are harmonics of each other that interact like cogs in a great harmonious cosmic clock. Although the Maya did use a 365-day solar calendar called the Haab for practical and agricultural reasons, the 260-day Tzolkin was preferred for ceremonial and ritualistic purposes. Unlike many other cultures who depended on a luni-solar calendar to schedule ritual, the Maya seemed tuned into another cyclical force. However, the first calendar, called The Long Count was used for looking back in time and for recording events over long cycles or World Ages which does suggest that the Maya did use astronomical observations in development of this calendar. The end date of the Mayan Calendar is the completion of the Fifth World Age of the Long Count that began on August 13, 3113 BC. Each world age is approximately 5,125 years long and adds up to 26,000 years, or the Great Year based on the cycle of precession. Author John Major Jenkins is credited with being the first independent Mayan researcher to suggest that the Mayan Calendar marks an astronomical alignment of the Winter solstice Sun with the great rift in the Galactic Center. This alignment occurs every 26,000 years result of the precession of the equinoxes. Drawing from his own groundbreaking research and more than two decades of extensive study of Mayan culture, Jenkins suggests that the Maya based their calendar on observations of the Great Rift, a band of dark dust clouds in the Milky Way, which the Maya called the Xibalba or Black Road. 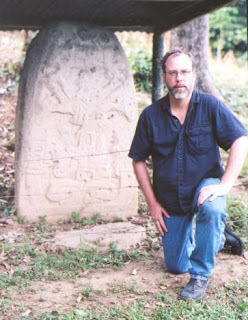 In Galactic Alignment Jenkins describes how the symbolism and iconography embedded in the temples and monuments at Izapa, the site where the Mayan Long Count Calendar was created, depict creation stories that prove the Maya were aware of where the ecliptic intersected the Black Road and gave this position in the sky a special significance in their cosmology. According to Jenkin's hypothesis, the Sun precisely aligns with this intersection point at the winter solstice of 2012, which he believes the classical Mayans anticipated as the end-of-a-World Age signal that heralds a spiritual transition for mankind. 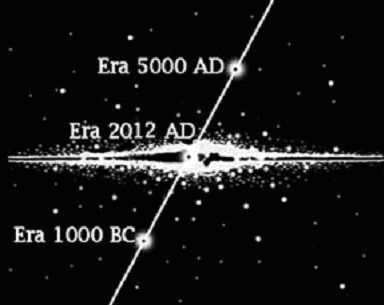 When Jenkins compared the Mayan calendar with other ancient traditions that were aware of the precession cycle, including Hindu, Egyptian,and Persian astrological sources, he began to understand what all the seers of ancient cultures knew: that during this galactic alignment humanity aligns itself with the higher frequencies of the galaxy and thereby moves humanity into a higher octave, or dimension, or way of being. Just as the ancient seers of the Vedic culture saw the astronomical alignments with the galactic center, or Vishnunabhi, as marking the ascending and descending yuga cycles, so did the Maya perceive an energetic alignment with Xibalba or Hunab Ku. To the Mayans Hunab Ku was the "one" supreme God and ultimate Creator whose essence was located in the center of the Milky Way galaxy. Other Mayan researchers such as Jose Arquelles describe Hunab Ku as a gateway (perhaps a black hole) to other galaxies beyond our Sun, as well as all of the consciousness that has ever existed in this, our own galaxy. If the Mayan calendar is a marker for an astronomical alignment that precipitates a shift in consciousness or opening of a gateway, then we might expect to find some astrological indicators for this grand cosmic event. So I think it might be a useful exercise to explore the astrological implications of certain key dates of the Mayan Calendar to see what themes arise that may help us understand the nature of this shift. 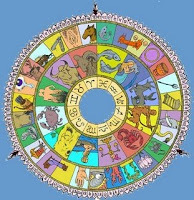 Although comparing the Mayan Calendar with Vedic Astrology is like comparing apples and oranges, we still may be able to squeeze out some juicy insights from examining the event charts for the end date of the Mayan Calendar December 21, 2012. Strangely the Winter Solstice of 2012 occurs at 11:11 universal time. 11:11 has been a number associated with synchronicity, gateways, and ascension. It is believed that these master numbers trigger an unconscious knowledge of a coming shift of consciousness. Whether the Mayan truly knew the exact time of this particular Winter solstice is doubtful, but they may have understood it in terms of cycles and alignments of the Milky Way with the Sun. 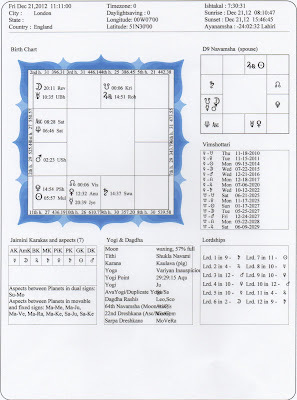 The Vedic chart for December 21, 2012 at 11:11 UT continues the numerological synchroncity with the 11th sign of Aquarius is rising on the horizon at 8 degrees in the nakshatra Shatabhisha. The fixed sign of Aquarius is represented by the Water-Bearer, or "physician of the gods," pouring the sacred pot of soma, the divine nectar of immortality upon humanity. The nakshatra Shatabhisha literally means "the one hundred healers" and its gift of bheshaja shakti, the power of healing, is generated by Varuna, the god of rain and cosmic waters. The acupuncture point Baihui means one hundred points and is used to open the crown chakra, which has a thousand petals. This chakra is associated with divine wisdom, our Unity with the Universe and all that is. Its blossoming is a sign of awakening and enlightenment. What a marvelous rising sign for an event chart of prophesized Awakening and Ascension. Varuna is an ancient Hindu deity who governs over the change of seasons, divine law, and healing. Varuna means "he who covers" and probably refers to his rulership of the skies and cosmic weather. From this elevated position of observation it was natural for a deity like Varuna to become the great observer of deeds; and his role was to punish those whose transgressions were of not merely the Law, but Rta, Cosmic Order. How appropriate for a shift in consciousness to be nourished by the celestial waters and facilitated by the keeper of seasonal change and governor of divine order, Varuna. Pre-Vedic legend describes Varuna as one of the Adityas, the children of the Earth mother Aditi. These solar deities reside in the heavens and personify various natural phenomenon. Varuna is lord of the oceans and water element in nature. 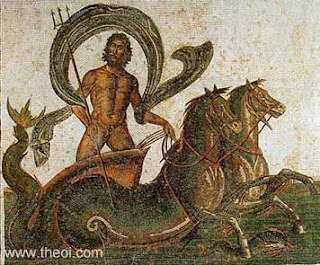 Some neo-Vedic astrologers equate Varuna with the Grego-Roman god Neptune, who in modern astrology rules Pisces and the planet of divine inspiration and psychic sensitivity, Neptune. Synchronistically Neptune will also be rising on the horizon in Shatabhisha during the 2012 Winter solstice. Like his ancient Roman counterpart, Varuna is depicted as a fair complexioned god riding a sea monster while holding a pot that contains soma, the magical elixir of the gods that gives rejuvenation, intoxication, and immortality. As the god of rain, Varuna presides over the oceans and the skies. He is associated with the dark half of the sky as he carries the sun deep below the waves over night. In addition to fearful predictions of world wide flooding with the earth changes associated with the Mayan Calendar and 2012, other prophecies by the Hopi Indians foretell that the Sun will darken and night will last for three days: there will be three days of emptiness and darkness. 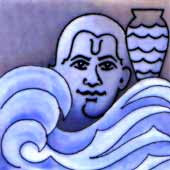 Will Varuna hold the Sun below the waves for three days in 2012? Another interesting theme related to catastrophic flooding is that Varuna is also a god of the dead and keeper of drowned souls, who grants immortality to those in live in accordance with divine law by sharing the precious elixir of immortality called soma. The connection to immortality is depicted in the symbol for Shatabhisha, an empty circle. The significance of the circle refers to cycles of all kinds: the cycle of life and death, the cycle of day and night, or a trip around the zodiac. When you look these cyclic pattern of energy, you realize that there is no death, only eternal cycles. Perhaps this is the secret to immortality? Or perhaps we awaken and remember that we are eternal at the end of a Great Year? Our great fear of Saturn has measured the degree of our attachment to the material world and our inability to face the ultimate issues of our existence. Saturn shows us the limitation of this realm, which is the necessary but painful lesson we must learn to find our way back into the unlimited. Saturn is death that takes us beyond the limitations of mortal life, which is the gateway to the eternal, though straight and narrow as the razor's edge. Saturn will be transiting the nakshatra Swati which translates as: "self-going", "good goer", "self-blowing", "tender", "sword" or "priest". These terms seem to encompass all the qualities that this asterism evokes. 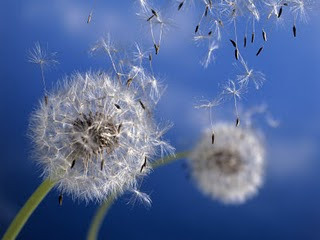 Its symbol is a single plant shoot blown by the wind. Swati is ruled by Vayu, the demigod of air and wind. In Hinduism he is also known as Vata (air), Pavana (purifier), or Prana (breath). Astrologically air and wind symbolism reveals the quality that confers its restless nature. 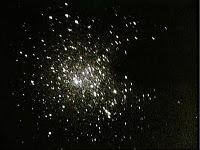 This nakshatra gives the power to "scatter like the wind," pradhvamsa shakti. Thus it seems Saturn may bring change through the element of wind, perhaps combined with the cosmic waters of Shatabhisha. Both Shatabhisha and Swati are ruled by Rahu, the north node of the moon, that has a vata, literally "blown", or airy, nature. Rahu is a manifesting force that can build like a gentle breeze, or wreak havoc and blow like a category five hurricane. Moreover Rahu is legendary for inspiring fear as its shadow is powerful enough to consume the luminaries during an eclipse. Rahu's mythic quest for immortality goes back to the Samudra manthan, the churning of the oceans at the beginning of time. 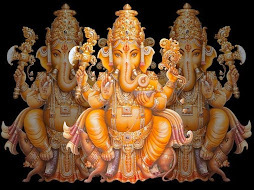 In many ways Rahu is also connected to the manifestation of soma and promises an artificial immortality on earth, usually through fame and infamy, but perhaps in this case it is indicating more? Rahu's placement in an astrological chart defines the area where new growth will take place in life -- our destiny. On the Winter Solstice of 2012 Rahu will be placed in Scorpio in the 10th house of karma at the transitional degree of 0 in the 16th nakshatra Vishakha, the "star of purpose." This is a very powerful place for the North Node. The nakshatra Vishakha spreads across the two constellations of Libra and Scorpio and is thus called 'two branched' or 'forked.' Thus is often depicted as a large tree with forked and sprawling branches that provide protection and produces fruit as it ripens with age. This celestial Tree of Life represents the process of reaching and attaining one's goals. 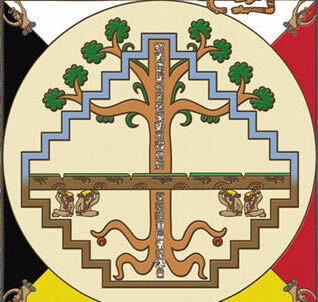 The ancient Maya also believed in a Tree of Life that was connected to Hunab Ku, the creative center of the Universe in Mayan cosmology. Mayan researcher Carl Calleman writes: the Mayan calendar provides a description of the rhythms of creative energies emanating from this hypothetical Tree of Life and is testable to what extent the actual rhythms of evolution conform to the time plan that this calendar specifies. Just as the ancient seers of the Vedic culture saw the astronomical alignments with the galactic center, or Vishnunabhi, as marking the ascending and descending yuga cycles, so did the Maya see an energetic alignment with the world tree that brought new life and growth. There are two other symbols for Vishakha that are also quite intriguing: the triumphal gate adorned with leaves and a potter's wheel. A gate is structure that can be swung or drawn that reveals an opening which may be an entrance or an exit. 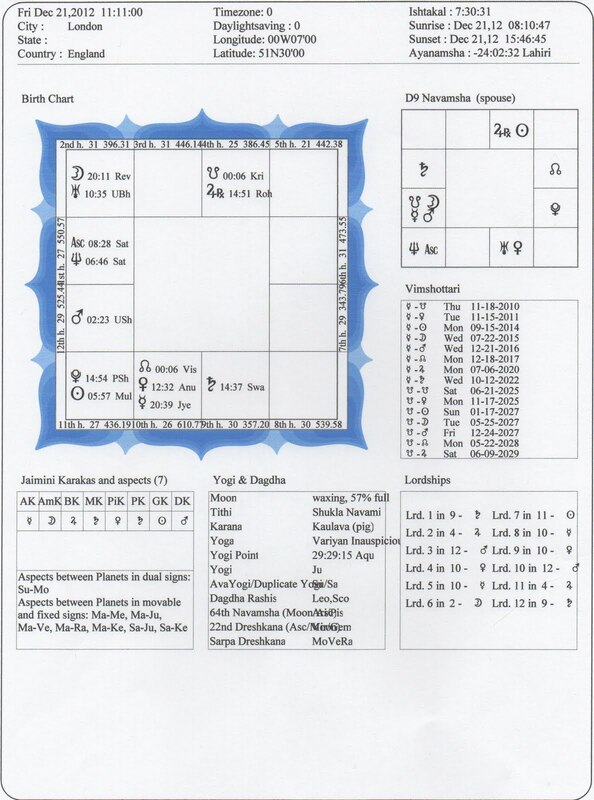 Could this gate imagery associated with the nakshatra rulers of the lagna and lagna lord of the 2012 chart suggest that an energetic doorway may open on the Winter Solstice for us to triumphantly pass though? According to some interpretations Vishakha's triumphal gate comes not only with a celebration of success, but also with a promise of challenge. It symbolizes an ending in its attainment of a goal and the beginning of a new one. Like the eternal cycles of the Mayan Calendar, each end marks the beginning. 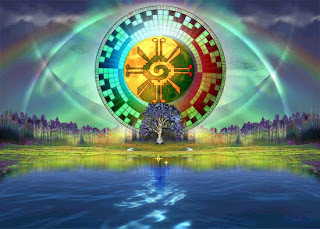 Some New Age writers have suggested that the sudden disappearance of the Mayan culture was due to their departure through such a portal or star gate. Could this happen on a grand scale? Will a door open? Will you walk through it? 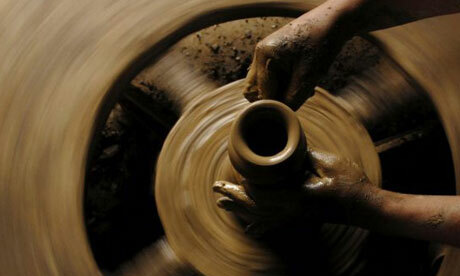 And the LORD God formed man of the dust of the ground. Genesis 2:7. According to the prophecies of the Maya, the Hopi and the Inka, we're at a turning point in human history, a period of great turmoil and upheaval in which a new species of human will give birth to itself. We're going to take a quantum leap into what we are becoming, moving from Homo sapiens to Homo luminous – that is, beings with the ability to perceive the vibration and light that make up the physical world at a much higher level. As I was researching this concept of homo luminous for this post, I came across an article by Dr. Villoldo at Reality Sandwich. 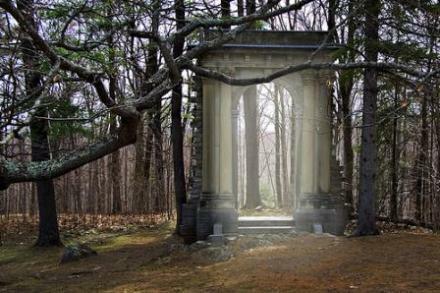 When I saw the image of this shining doorway, my heart skipped a beat. This synchronistic find assured my intuitive mind that my interpretation of the end date of the Mayan calendar is on the right track. Could the Mayan Calendar actually be pointing to this evolutionary transformation of man into a being of light? If the end date of December 21, 2012 is correct, the planets, signs and nakshatras all seem to indicate that that a portal or star gate will be opening for us to celebrate a triumphant passage. While we can't know exactly what will happen, one thing is sure: change is coming and I for one, with a Shatabhisha ascendant, am ready to embrace the light.